Website offers all reports, position papers and updates on the activities of the New Israel Fund and the organizations it supports. Grassroots Zionist student organization Im Tirtzu has launched a new website called NIF Watch. The website claims to hold all of the reports, position papers and updates on the activities of the New Israel Fund (NIF) and the organizations it supports, which have been published over the years. In addition, the site highlights recently published Im Tirtzu reports, including the one tracing funds from the Ramallah-based Palestinian organization that funded the reports by Breaking the Silence and B’Tselem accusing the IDF of crimes during Operation Protective Edge. The site also holds reports from past years showing the NIF’s influence on the Goldstone Report, detailing organizations supported by the NIF that hound senior IDF commanders and security personnel abroad, and more. 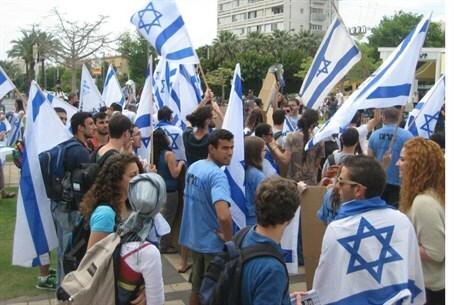 In 2010, Im Tirtzu launched a campaign to expose the truth about the New Israel Fund and the effect it and the organizations it supports had on the State of Israel and its future as a Jewish state. For information on the anti-BDS rally in New York click here.